Let's face it; there's nothing worse than a helpless, homeless or abandoned pet. That's why a program like the Central Oklahoma Humane Society is vital to any local community. The organization works miracles to keep our furry friends healthy, safe and ready for adoption, but they couldn't do it without the many selfless volunteers who devote their time to the organization's life-saving programs. Furthermore, if you're in the market for a new pet or two, give them a call and save some lives in the process. 2. Regional Food Bank of Oklahoma, 3355 S. Purdue Ave. 3. Infant Crisis Services, 4224 N. Lincoln Blvd. If you have ever been to H&8th Night Market, this should come as no surprise. The immensely popular food truck, beer and live music extravaganza has grown from a small but fervent community to the largest food truck event in America. Did you hear that? The largest food truck event in America. Technically, the food isn't free (nor is the booze), but the live music  which has featured local powerhouses and rising stars alike  is, and so is the people-watching. 2. Festival of the Arts, Downtown 3. Bricktown, 429 E. California Ave. 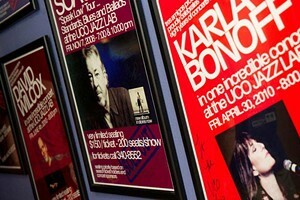 The UCO Jazz Lab is exactly what it sounds like: a jazz club in the mold of the diveiest of New Orleans dives. 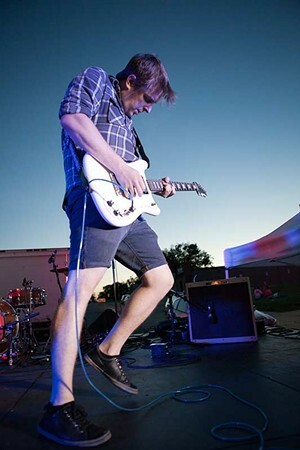 The venue features weekly entertainment from some of the brightest and most talented jazz musicians in the world, plus a bevy of local talent to boot. Bonus: It also features a top-of-the-line, fully redesigned recording studio functional for both students and professionals alike. This is easily the most unique live music club in all of Oklahoma. 2. The Blue Note Lounge, 2408 N. Robinson Ave. 3. The Wormy Dog, 311 E. Sheridan Ave. When it comes to housing larger-than-life artists, Chesapeake Energy Arena towers above the rest  and we're not just talking basketball. The venue can house over 16,000 for its concerts, and it's a good thing, given some of the names that have been booked over the last year (Jay Z, John Mayer, Rihanna, Pearl Jam  need we go on?). So if you're looking for spectacular epic shows, great acoustics and star power, Chesapeake Arena has you covered. 2. The Zoo Amphitheater, 2101 NE 50th St. 3. Civic Center Music Hall, 201 N. Walker Ave.
Groovy's couldn't have picked a better name. The local club features a passionate crowd and a variety of throwback tunes that just beckon you to break down the dance floor each weekend. There's also a live DJ each Thursday night to ensure the rhythm never stops. And if you're worried you're too young or too old, worry not; this is one of the most diverse crowds in town. At a club like Groovy's, everyone is welcome to dance. And usually, everyone does. 2. The Copa, 2200 NW 40th St. 3. Dollhouse Lounge & Burlesque, 210 E. Sheridan Ave.
Cocktails and karaoke go together like Salt-N-Pepa, Guns N' Roses or Joan Jett & the Blackhearts. And if you're looking for these things in OKC, Nancy's 57th Street Lighthouse is your jam. The uniquely nautical karaoke bar has steadily become the de facto hotspot for amateur pop stars and professional drinkers alike. 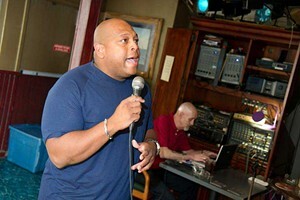 Even if you don't fully appreciate the art of karaoke (that's right  art), you'll still feel at home at Nancy's. Don't stop believing, sweet Caroline; this is the place to be. 2. Cookie's, 2304 N. Western Ave. 3. Don Quixote Club, 3030 N. Portland Ave.
We're proud of our heritage here in Oklahoma, and we have a lot of it, from native culture to the Land Run. 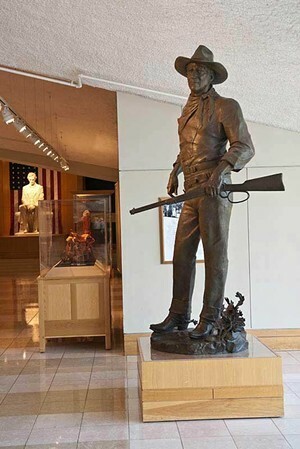 The masterful exhibitions at the National Cowboy & Western Heritage Museum capture the essence of our state like no place else. Exhibitions like this year's Prix de West, a prestigious collection of more than 300 Western paintings and sculpture, reflect the confluence of culture, geography and wildlife that makes the American West such a fascinating piece of our history. 2. Individual Artists of Oklahoma (IAO) Gallery, 706 W. Sheridan Ave. 3. DNA Galleries, 1709 NW 16th St. The Oklahoma City Museum of Art is genuinely the peoples museum of art. Since its incorporation in 1945, the museum has offered something for everyone, whether it be prestigious, historical masterpieces (Gods and Heroes), lauded independent cinema (Boyhood) or family friendly art workshops. Print art, European art, photography, contemporary art  you name it, this museum has it. It has also become the center of our film scene, playing a role in the breakout hit deadCENTER Film Festival and weekly film screenings you won't find anywhere else. 2. Science Museum Oklahoma, 2100 NE 52nd St. 3. Oklahoma City National Memorial & Museum, 620 N. Harvey Ave.
BC Clark Jewelers knows what its doing. It has been doing this whole jewelry thing for, oh, 122 years or so. Diamond engagement ring? You got it. 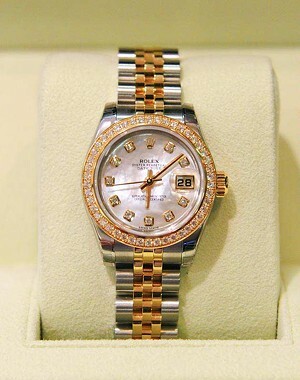 Rolex? Yup. General bling? You betcha. And it's not just jewelry, either; it also offers a variety of kitchenware, office decor and more. No matter your vice, BC Clark has you and your finger, wrist, neck or earlobe covered. The best part, though, is that with three metro locations, you're never far away from luxury. 2. Naifeh Fine Jewelry, 9203 N. Pennsylvania Ave. 3. Mitchener-Farrand Jewelers, 2844 W. Wilshire Blvd. In the midst of all the new businesses that have risen in the resurgent Plaza District, Bad Granny's has remained the strip's cornerstone. You could even argue that no store has as much charm or character in all of OKC. From vintage clothing to affable home decor, every nook and cranny of this Granny has diamond-in-the-rough potential. Plus, their back-room record shop is home to a variety of lost gems and occasional live performances. Attention, dudes: If you haven't already noticed, the ladies (and other dudes) love you in Blue Seven. 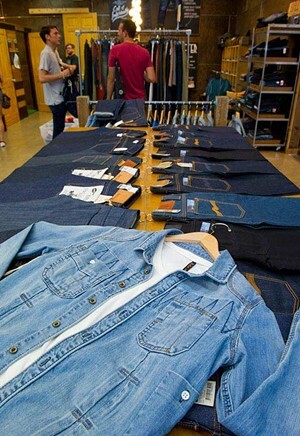 The Oklahoma-centric store has become the go-to source for well-crafted, locally designed menswear, including tops, bottoms, outwear and footwear. You can even find other accessories, like Oklahoma-themed books and delicious coffee packaged right here in the Sooner State. Basically, Blue Seven is kind of like Urban Outfitters, but with good intentions, better products and no baggage  oh, and it's just down the road. 2. Mr. Ooley's, 1901 Northwest Expressway, Suite 1023A 3. GQ Fashions Fine Menswear and More, 3525 NW 23rd St. If the guys consider your store the best place to wardrobe-shop, it definitely means something. But when the ladies do it too, you know you're really doing something right. The women of OKC love Blue Seven just as much as their male counterparts, and with the variety of dresses, tops and general stylishness the store has to offer, it's easy to see why. When it comes to expressing your unique personality through the clothes you wear, Blue Seven meets and often exceeds the needs of its female shoppers. 2. Bow & Arrow Boutique, 617 N. Broadway Ave. 3. Balliets, 5801 NW Grand Blvd. 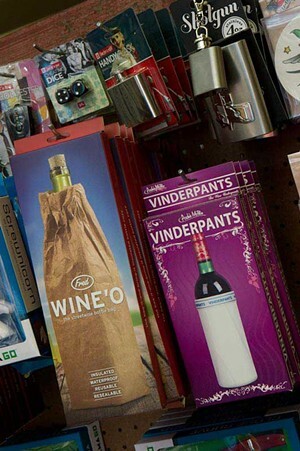 You know those stores that are chock full of things you didnt even know you needed? Blue Seven is that store. Whether its bandages in the shape of strips of bacon or the latest tees created by local artists, Blue Seven has you covered. The shops quirky, curated collection of clothing, housewares and hand-made gifts will keep you looking and gifting like no one else. Passionately local owner Caleb Arter stocks cool threads and one-of-a-kind gifts. Yours will be the most talked about, guaranteed. 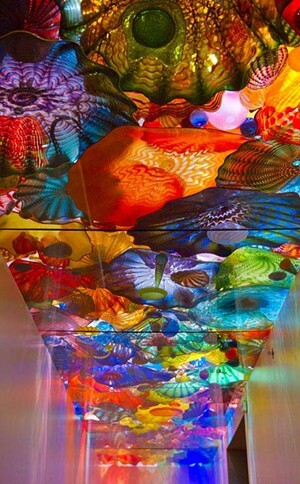 Its no wonder it is one of OKC residents favorite places  you truly never know what to expect. 2. 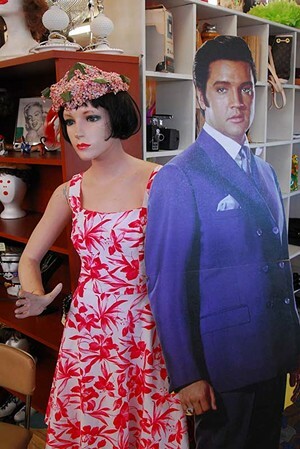 Craigs Curious Emporium, 3004 Paseo St. 3. Plenty Mercantile, 807 N. Broadway Ave.
Worth mentioning: DNA Galleries, Olive & Co.
What do the Ramones and Hobby Lobby have in common? They were both started in a garage in the 1970s. Granted, thats about where the similarities end, but this start-up has been a local staple of crafting and inspiration (both creative and spiritual) ever since. 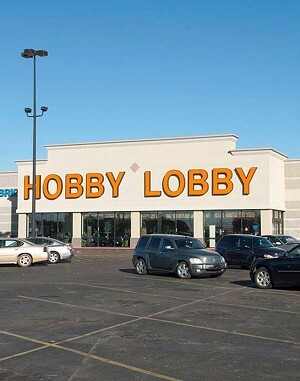 Whatever crafty thing youre into, one of the companys 584 stores can help you find it. It can help make all your Martha Stewart crafting dreams come true. 2. Retro OKC, 1708 NW 16th St. 3. Mathis Brothers, 3434 W. Reno Ave.
Boomer Sooner! Our readers agree that the crimson and cream are the best, and not only because of their athletic program. 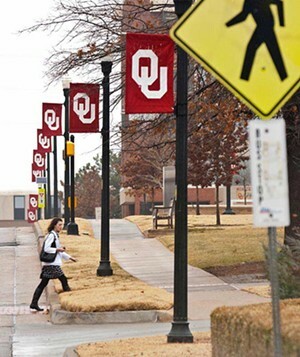 The verdant Norman campus is the heart of the town. The university, which offers a wealth of degree opportunities both at the undergraduate and graduate levels, also boasts an impressive athletics department that you might have heard of. Boomer Sooner is the cry, and come game day, you can hear it all the way in OKC. 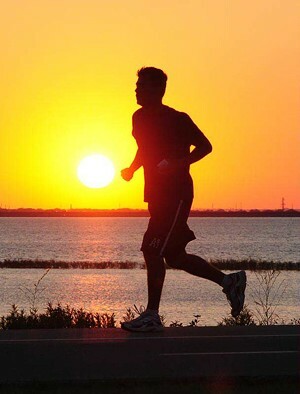 Oklahoma City isnt known for its coastal views, but a jog around Lake Hefner during sunset can make you forget it sits hundreds of miles from the nearest ocean. The view can actually make exercising an enjoyable experience. A 12-foot-wide asphalt trail loops for nine miles around this urban lake, offering joggers and cyclists one of the best views around. Playgrounds, ball fields and a golf course around Lake Hefner also offer other ways to burn calories at this city-owned park. Dr. Tim R. Love, M.D. From facelifts to breast enhancements and every other type of trouble spot improvement, Dr. Tim R. Love offers increased confidence through cosmetic surgery. This 2013 Best of OKC winner is back at the top after building a loyal following across the region. Dr. Love promises consultations with realistic expectations, and its that honest approach that has earned him the top spot for the second year in a row. This Plaza District tattoo parlor offers custom ink by appointment, along with piercings. 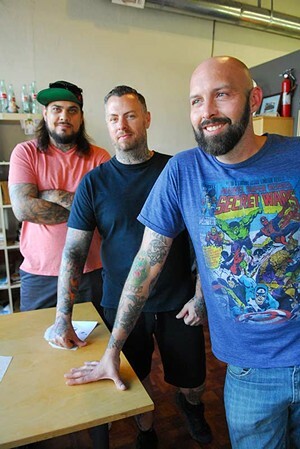 The tattoo market has become more crowded in Oklahoma City in recent years, and No Regrets Tattoo is viewed as one of the top places to color your body in the metro. Whether youre a teenager (with parental approval) looking to show off your rebellion or are in the midst of a midlife crisis and need to tap into your youthful side, this shop is a destination that appeals to all. 2. 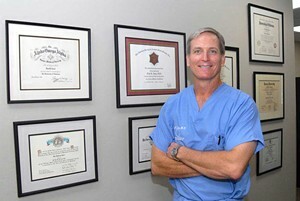 Dr. Tim R. Love, M.D., 11101 Hefner Pointe Dr. 3. Mariposa MedSpa, 1907 N. Broadway Ave.
As Oklahomas largest independent bicycle dealer, Als Bicycles has a selection of hundreds of bikes for beginner or pros. Four locations across the metro offer riders a place to shop for a new ride with the help of experienced staff who share a passion for cycling and understand the local bike culture. 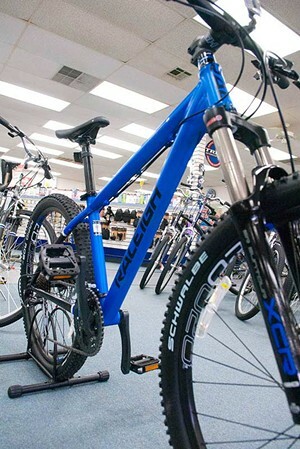 Als Bicycles also offers an in-depth website with buyer guides for all types of bike riders, giving customers a chance to do a lot of research before spending a dime. 2. Schlegel Bicycles, 900 N. Broadway Ave. 3. The Bicycle Store, 336 NE 122 St. When Whole Foods Market opened its doors in 2011, it was another sign that some of the most popular national retailers were starting to pay attention to OKC. 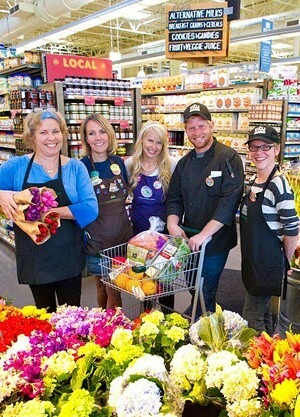 As the anchor to the new Triangle at Classen Curve, Whole Foods Market rarely has a slow hour as shoppers from across the region come looking for organic produce and diet-specific ingredients. Whole Foods Market also offers breakfast, lunch and dinner and regularly puts its food on display through summer markets in the parking lot. 2. Target, several metro locations 3. Anthropologie, 6100 NW Grand Blvd. Worth mentioning: Dillards; Half Price Books, Records, Magazines, Inc.
For over 100 years, the Oklahoma City Zoo has been home to exotic animals and an impressive plant collection. 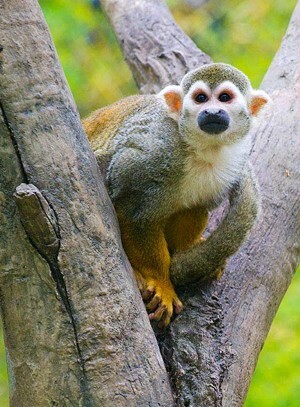 Open year-round, the zoo features 1,900 animals, including 54 endangered species. Its friendly to family wallets and also offers several free and reduced fare days throughout the year. When looking for a fun family outing, its hard to beat a classic trip to the Oklahoma City Zoo. 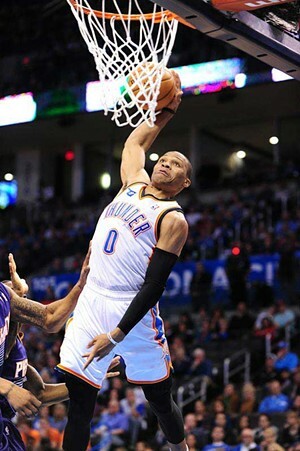 The best face of Oklahoma City is a Thunder game at Chesapeake Energy Arena. Regular national broadcasts of Thunder games during the season give the world a look at the passion and energy Oklahoma City has for its lone professional sports team, but its hard to get the full Thunder experience without being there in person. The collegiate atmosphere, the stunning pre-game videos and, of course, the play of one of the leagues most talented teams makes a home Thunder game the best place to show off our city. Six nights a week, there is always something happening at The Boom. 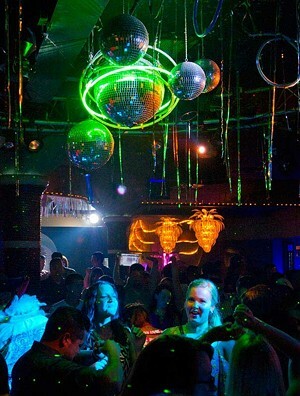 This establishment is located in the citys gay district, and while it does attract many LGBT guests, it also offers a fun night of dinner and dancing for people of all sexual orientations and walks of life. 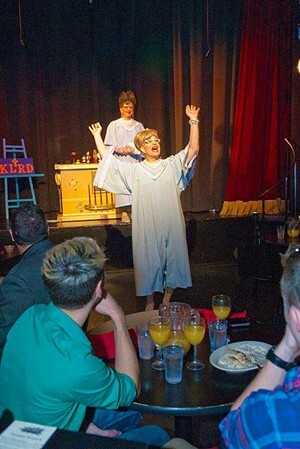 The Booms dinner theater shows attract a crowd, and the Sunday Gospel Brunch is a performance worth checking out. 2. Night Trips, 220 S. Vermont Ave. 3. The Dollhouse, 210 E. Sheridan Ave.
Dry/Shop promises a look that a lot of women want but cant achieve at home. Talented blow-dry artists welcome women from across the region who are looking for a new style, and the on-site boutique offers clothing and gifts so you can take this unique experience home. Dry/Shop seems to fit nicely in the growing and eclectic Midtown community and has expanded the retail scene in OKC. 2. Weldon Jack, 3621 N. Western Ave. 3. On the Edge with Skulls and Stones, 1218 Pennsylvania Ave. Founded in 2007, the Central Oklahoma Humane Society has found homes for over 16,000 cats and dogs. It has also spayed and neutered over 64,000 pets, helping the Oklahoma City region control its animal population. 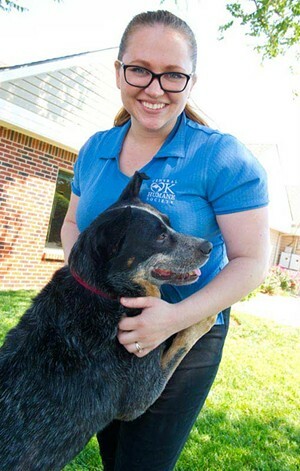 With the belief that euthanizing healthy pets is not an option, Central Oklahoma Humane Society works hard to provide each dog and cat it encounters with a loving home. 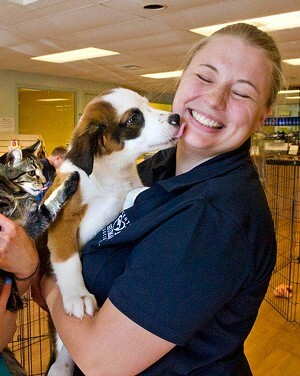 In this pet-friendly town, the Humane Society is local favorite nonprofit. 2. The Bella Foundation, PO Box 20035 3. Regional Food Bank of Oklahoma, 3355 S. Purdue Ave.
Its no easy feat being the citys best vapor shop. Earlier this year, The New York Times profiled Oklahoma City as Americas vapor capital, and OKC Vape has earned the honor as the top vapor shop in this competitive market. With a wide variety of electronic cigarettes and other vaping devices, OKC Vape promises a customized shopping experience. 2. 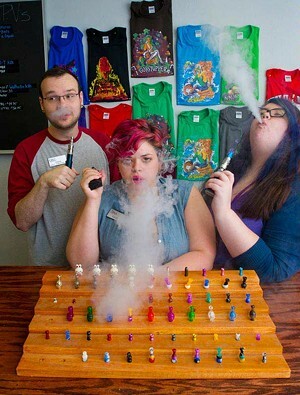 The Vapor Hut, 6205 SE 15th St. 3. Liquid Vapor Lounge, 6608 N. May Ave.
Everything you need to look and feel your best can be found at Cottonwood Spa, but the real magic is in the hands of their massage therapists. With eight certified therapists (thats 16 hands and 80 fingers of feel-goodness) and at least nine different massage services to choose from, the spa can exorcise any ache. Go with the Swedish massage or get real with the Deep Tissue massage, all sold in increments of 15 minutes. Either way, Cottonwood Spa can rub you down and have you out, relaxed and ready for the world in no time. (28th Street and N. Walker Avenue to 30th Street and N. Dewey Avenue), the historic arts district takes the inherent openness of the arts and applies it to the galleries, art schools, restaurants and boutiques that comprise it. 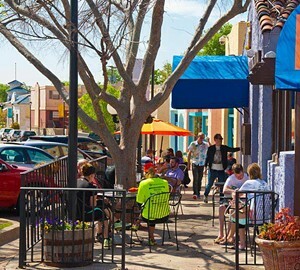 Everyone is welcome in the Paseo, and most heed its call at some point  especially hipsters. So grab some binoculars and visit this district to see hipsters  and all of their tight-jeaned irony  in their natural habitat. 2. Plaza District 3. The Mule, 1630 N. Blackwelder Ave.
Those with a thirst for the road can now ride in style, thanks to the new Indian Motorcycle shop in OKC. 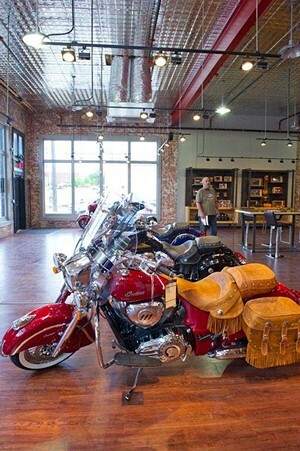 Indian Motorcycles are revving their way back onto a street near you, and this namesake shop is the go-to for its bikes, accessories and more. Indian hit it big in 1922 with its Chief model and quickly became synonymous with style and innovation before going the way of the buffalo. Now, with Indian Motorcycles of OKC opening this past May, the brand is roaring back into the hearts of bike enthusiasts of all stripes. 2. House of Kawasaki, 7900 NW 10th St. 3. Maxey's Motorsports, 4112 NW 39th St.
What do you usually do on a first date? Dinner? Movie? A sporting event or some live music? You can do all of that and more in Bricktown. Check out some street performers between dinner and the event of your choosing, or head directly to one of the many bars for a drink. 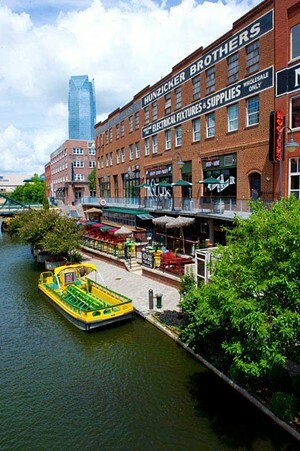 Bricktown also has the perfect nightcap to a romantic first date: a quiet stroll along the canal. Unless you have the chemistry of asbestos and fire, youll be neckin in no time along the red brick roads.